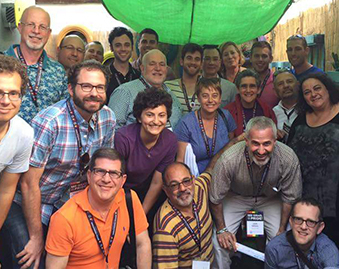 The following is a personal account from Warren Hoffman, the Jewish Federation of Greater Philadelphia’s Associate Director for Jewish Life and Learning, who coordinated Philadelphia’s participation in the Jewish Federations of North America (JFNA) National LGBTQ Mission to Israel last week. 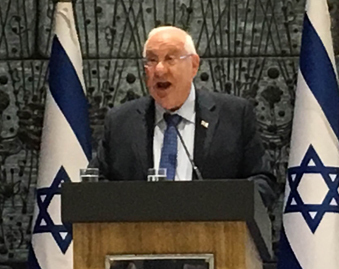 Lunch at the residence of Israeli president Reuven Rivlin. A private concert with gay Israeli pop star Ivri Lider. An afternoon at an Arab employment agency. Marching down Bograshov Street with thousands of people for Tel Aviv Pride. 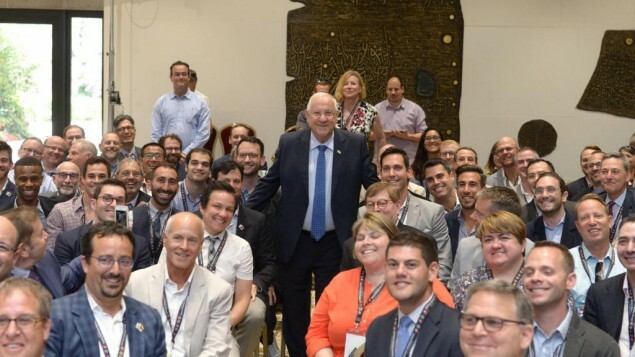 These were just some of the many extraordinary experiences that I and four of my fellow Philadelphians — Harry Wachstein, Albert Ziobro, and newlyweds David Gold and James Yiaski — enjoyed last week while part of JFNA’s LGBTQ leadership mission to Israel. This mission, which took over 100 lesbian, gay, bisexual, transgender and queer Jews and allies throughout the country, was an eye-opening look at the complexities of Israel. 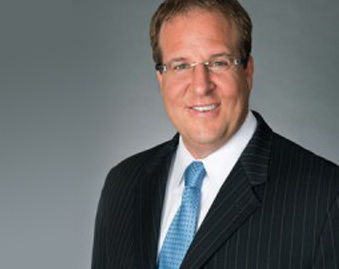 It showed us parts of Israeli society I had personally never witnessed, as well as the impact that Jewish Federations, including our local Jewish Federation, are having in this region. 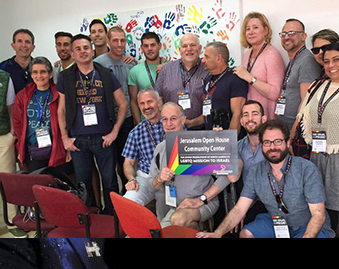 The major impetus of the trip was to understand first-hand LGBTQ life in Israel, looking at both the victories and the challenges that remain for this community. While Israel is the only place in the Middle East where LGBTQ individuals can live with such freedom and openness, there are still struggles. Gay marriage is not yet a possibility, as Israel does not allow any Jew, gay or straight, to marry outside of an Orthodox rabbinical system. JFNA has started a program called iRep that is working to bring civil unions to Israel, not just for LGBTQ citizens, but for straight couples as well who do not want to be married by the rabbinic authorities. And while gay men have risen to positions of celebrity and influence in Israeli society (we met with notable leading figures, including an “out” member of the Knesset and a radio talk show host), lesbians and members of the transgender community still struggle for an equal place at the table. The transgender community in particular suffers from a significant lack of financial and social service resources that continues to impede their full inclusion. 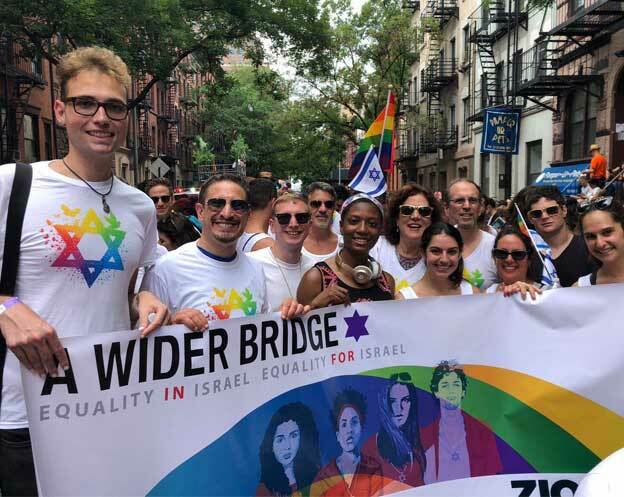 In learning about LGBTQ life in Israel, though, it soon became apparent that such issues are part of a much larger conversation and struggle around diversity and inclusion. Is Israel a Jewish state or is it a pluralistic state (or is it both, and is that possible given the racial, ethnic and religious tensions that fuel the region)?